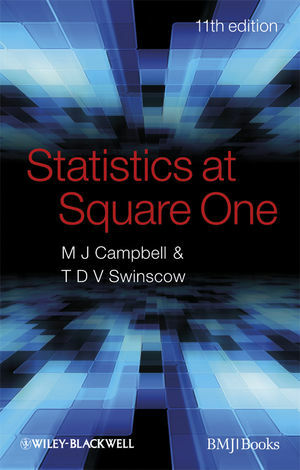 The new edition of this international bestseller continues to throw light on the world of statistics for health care professionals and medical students. The popular self-testing exercises at the end of every chapter are strengthened by the addition of new sections on reading and reporting statistics and formula appreciation. Chapter 1 Data display and summary. Chapter 2 Summary statistics for quantitative data. Chapter 3 Summary statistics for binary data. Chapter 4 Populations and samples. Chapter 5 Statements of probability and confidence intervals. Chapter 6 P-values, power, type I and type II errors. Chapter 7 The t tests. Chapter 8 The χ2 tests. Chapter 10 Rank score tests. Chapter 11 Correlation and regression. Chapter 13 Study design and choosing a statistical test. Chapter 14 Use of computer software.